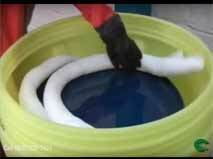 The World’s Only Engineered Absorbent Polymer For Hazardous Chemical Spills. Polypropylene, kitty litter and solidification agents move over! Imbiber Beads® simply work better. They “capture and contain” a broad range of liquid organics including gasoline, diesel and jet fuels, transformer oils, chlorinated solvents and many more hazardous chemicals. The World’s Only Engineered Absorbent Polymer For Hazardous Chemical Spills. Polypropylene, kitty litter and solidification agents move over! 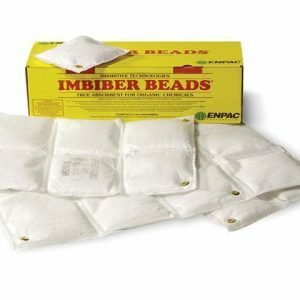 Imbiber Beads® simply work better. The elimination of free liquids means up to 99% vapor reduction and up to 600% reduction in the rate of volatile vapor release over polypropylene. It is the vapors that support combustion and the vapors that are toxic when inhaled!